In the publishing world where so many new books are compared to existing bestsellers to explain their merits, it is refreshing to read something that is new and different. In the not-too-distant future, private enterprise has seriously moved into the space exploration. 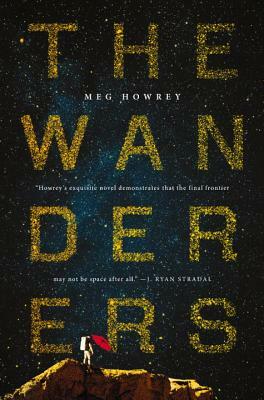 The Wanderers of this title have been selected for their experience and their personality profiles to be the first astronauts to visit Mars. Before leaving for Mars, they are hired to live in a simulation that mirrors their future trip. It is somewhat shorter than the actual expedition, but contains the same time frame for traveling to, and returning from, Mars. The only difference is that that they will stay on Mars for one month during this simulation when the actual trip will consist of a one and a half year stay. What is unique about this book is that it is less about the expedition itself and more about the personalities and personal lives of Helen Kane, Sergei Kuznetsov, and Yoshihiro Tanaka … and some of their family members. In this way, it is more of an SF psychological thriller than a space adventure, and in the end, it is about their personal journey and transformation. A brilliantly inventive novel about three astronauts training for the first-ever mission to Mars, an experience that will push the boundary between real and unreal, test their relationships, and leave each of them—and their families—changed forever. Meg Howrey is a former dancer who performed with The Joffrey, Eglevsky Ballet, and City Ballet of Los Angeles. She is the author of two previous novels, Blind Sight and The Cranes Dance, and the coauthor of the bestselling novels City of Dark Magic, and City of Lost Dreams, published under the pen name Magnus Flyte. Her non-fiction has appeared in Vogue and The Los Angeles Review of Books. She currently lives in Los Angeles.